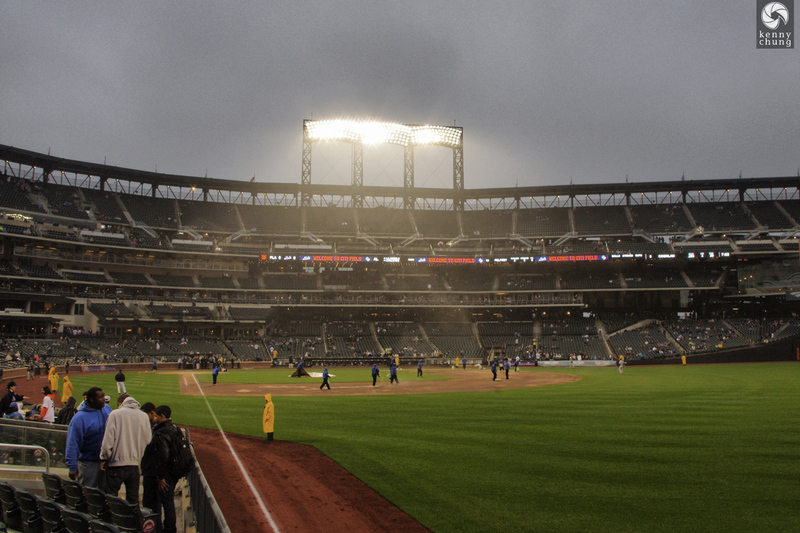 Rain delayed game at Citi Field featuring an intense pitching duel between the Mets' Mike Pelfrey and the Marlins' Josh Johnson. 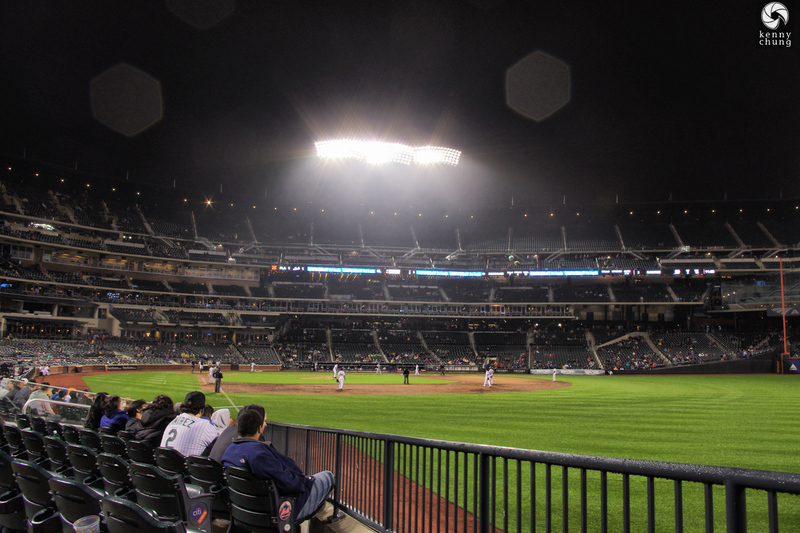 Citi Field on May 16, 2011 for the Mets vs. Marlins game during a rain delay. 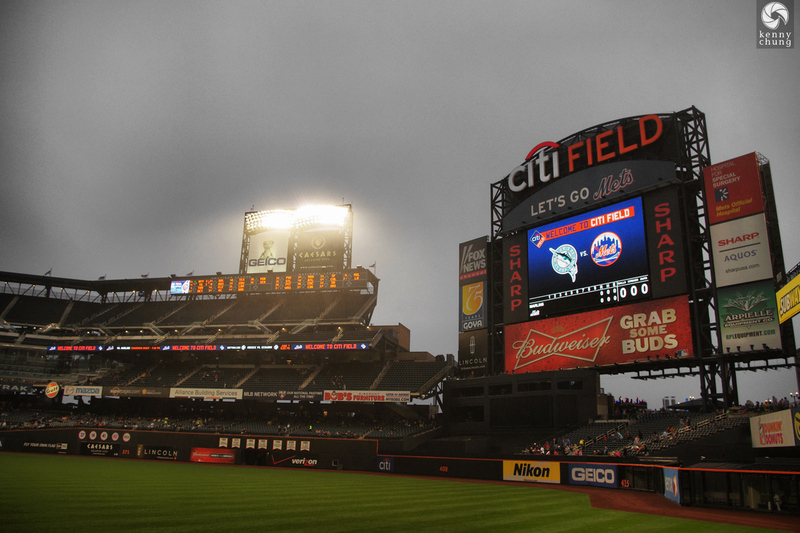 The scoreboard at Citi Field before the game began. 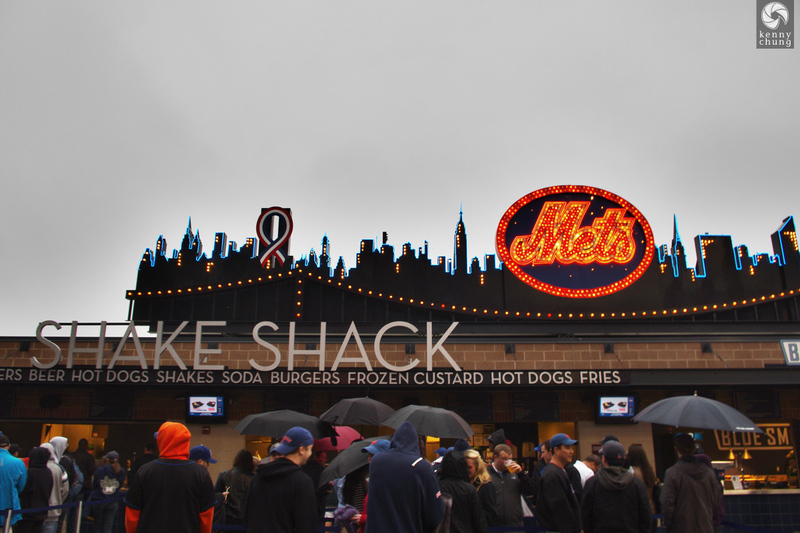 The line outside Shake Shack was still ridiculous despite the rain. 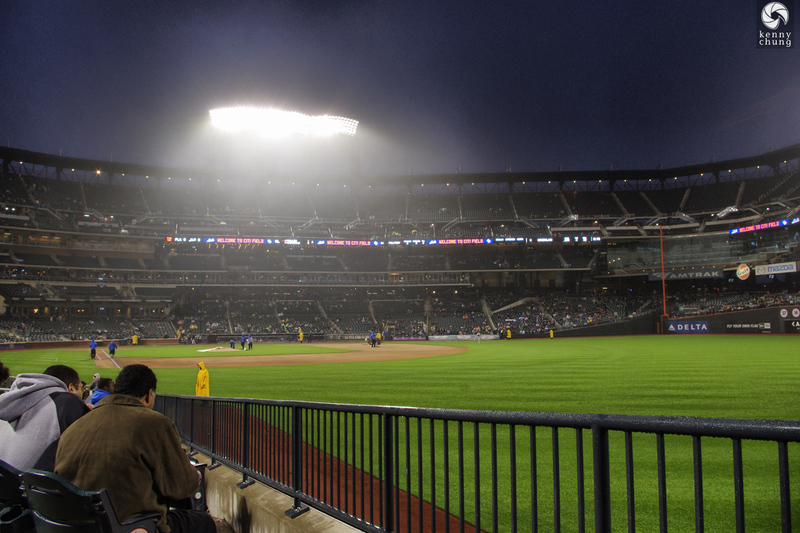 The Citi Field grounds crew finishing up drying the infield and clearing the pitching mound. 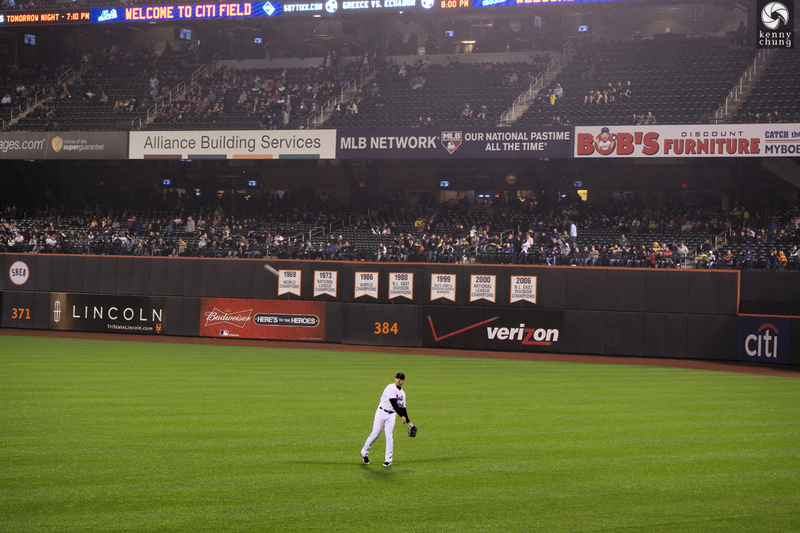 New York Mets Right Fielder Carlos Beltran warming up before the game. The game fianlly started after an hour and twenty minute rain delay. 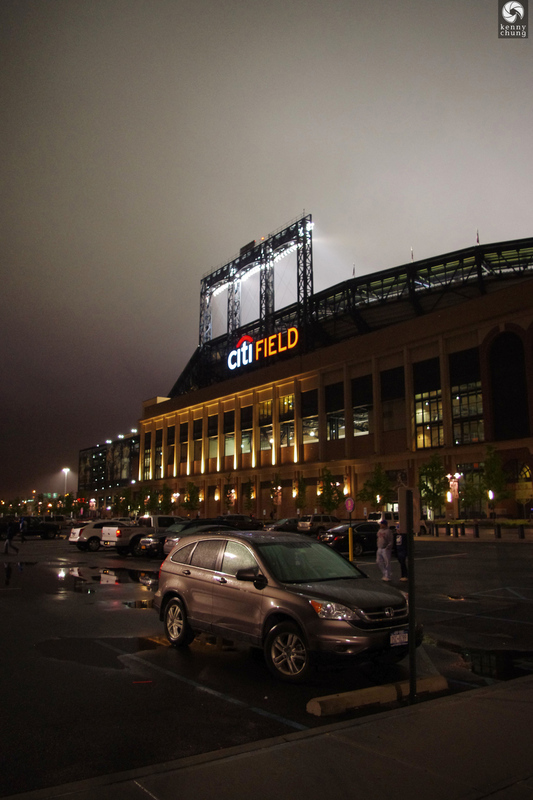 The entrance of Citi Field at night. Leaving the Citi Field parking lot. The game went to 11 innings with the Marlins coming out on top.